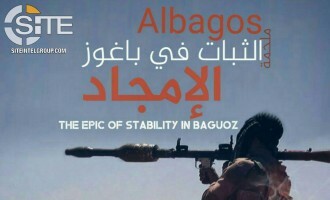 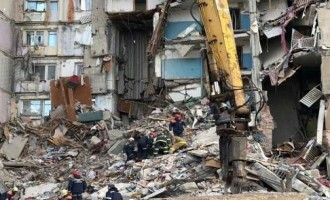 As an "exclusive" in issue 165 of its weekly newspaper, al-Naba, the Islamic State (IS) claimed credit for the apartment building explosion and subsequent bus bombing in the Russian city of Magnitogorsk. 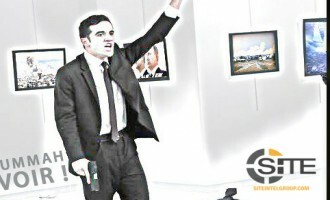 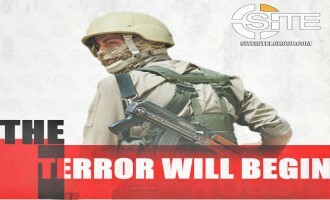 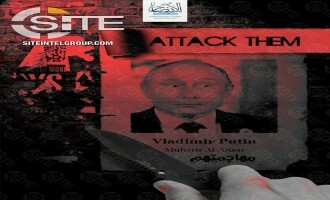 Depicting an individual with an explosive vest in one graphic and Russian President Vladimir Putin beheaded in another, an Islamic State (IS)-linked media group respectively incited for suicide bombings among groups and attacks in Russia. 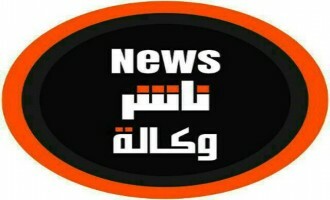 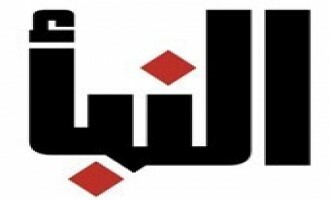 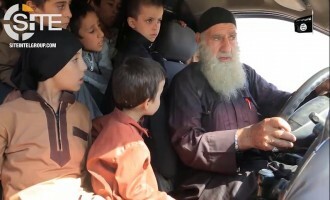 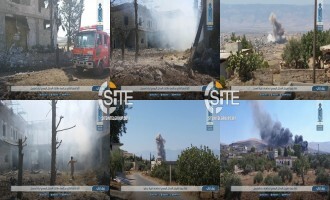 Ebaa News Agency, a media unit for the Syria-based Hay'at Tahrir al-Sham (HTS), provided coverage on Russian airstrikes on villages in the west of rebel-controlled Idlib and the devastation they caused. 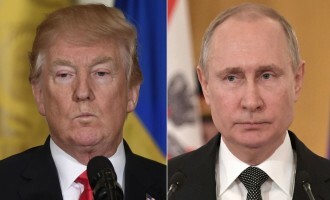 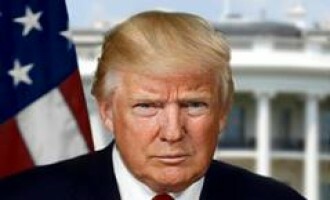 An Islamic State (IS)-linked group depicted U.S. President Donald Trump and Russian President Vladimir Putin as targets and incited for their death. 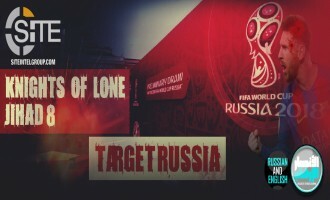 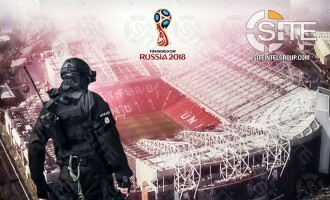 An Islamic State (IS) supporter claimed that the plethora of threats from IS-linked groups towards the 2018 FIFA World Cup in Russia were counter-productive and led only to the enemy increasing security, and gave tips for future attacks. 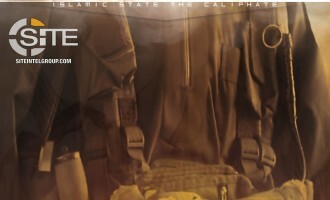 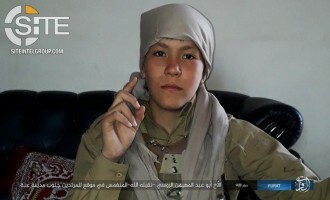 The Islamic State (IS) announced a new division in Syria, "Hauran Province," and in its inaugural communique, claimed credit for a suicide bombing on Russian and Syrian forces in western Daraa. 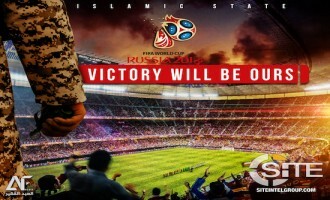 With one-week remaining in the 2018 FIFA World Cup in Russia, an Islamic State (IS)-linked group reiterated the threat of attacks it and other supporters have made before and during the event. 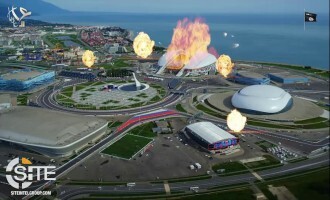 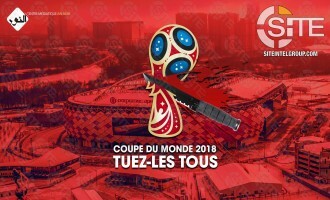 Again inciting for and warning of attacks during the 2018 FIFA World Cup in Russia, an Islamic State (IS)-linked group suggested attacks on trains. 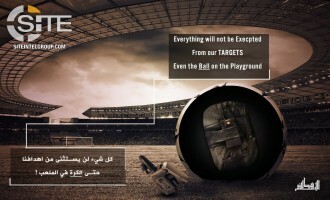 Islamic State (IS)-linked groups continue to threaten Russia’s 2018 FIFA World Cup, emphasizing attacks at matches as the next major operations, following assaults in the U.S., Spain, Iran, and France. 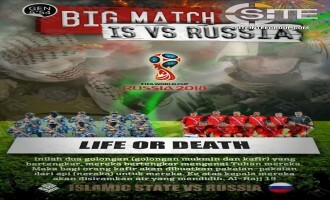 Islamic State (IS)-linked groups persist in inciting attacks on Russia and the 2018 FIFA World Cup tournament. 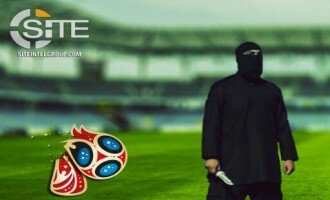 As the 2018 FIFA World Cup in Russia enters its second week, Islamic State (IS)-linked groups have continued their campaign of threats. 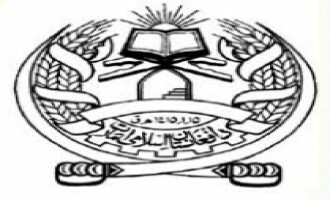 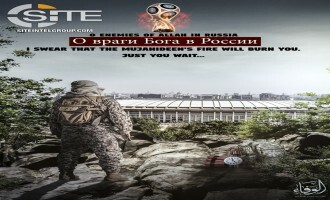 An Islamic State (IS)-linked group at the forefront of those publishing warnings and incitement propaganda of attacks in Russia during the 2018 FIFA World Cup, reiterated its caution to enemies of coming operations. 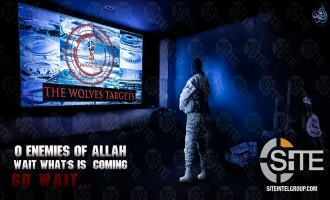 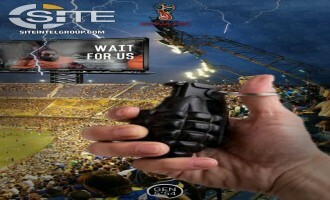 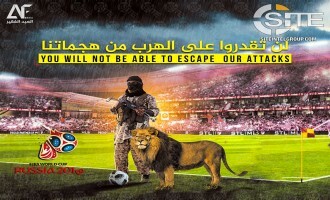 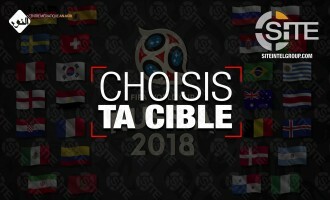 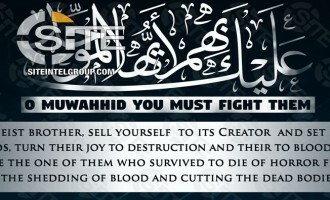 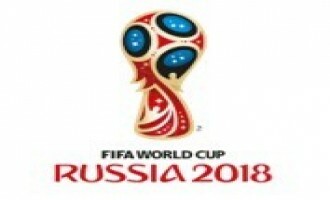 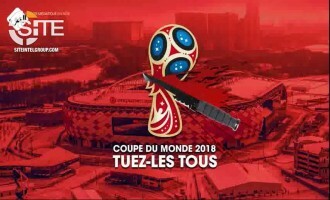 Amid Incitement to Strike World Cup Matches, IS-linked Group Reminds Lone Wolves Everywhere to Kill "Citizens of Crusader Nations"
Amid incitements to strike stadiums during the 2018 FIFA World Cup in Russia, an Islamic State (IS)-linked group reminded lone wolves everywhere to kill "citizens of Crusader nations". 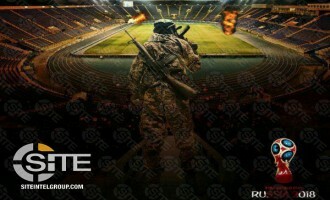 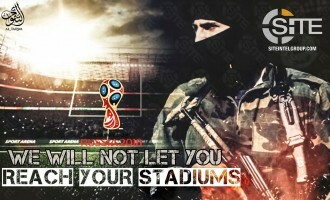 As Islamic State (IS)-linked media groups continue their near-daily threats to the 2018 FIFA World Cup in Russia, a support unit published a poster warning enemies of attacks on stadiums where the matches are being held. 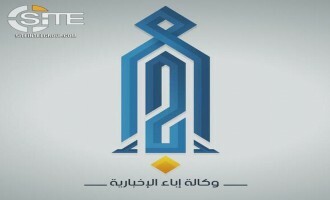 The Syria-based Hay’at Tahrir al-Sham (HTS) condemned the lack of compensation for the handover of the body of the Russian pilot whose plane it shot down, charging that the rebel faction that “stole” the corpse has disappointed Syrians. 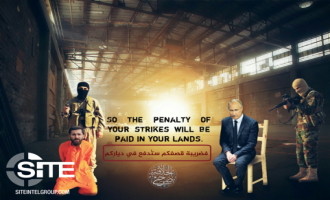 Hay'at Tahrir al-Sham (HTS) reported through its Ebaa News Agency that the body of the Russian pilot whose plane was shot down over Idlib on February 3, 2018, was "stolen" by a rebel faction and then delivered to the enemy. 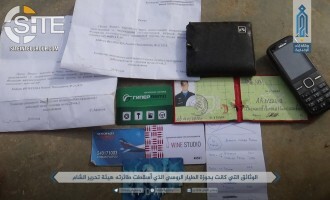 Hay’at Tahrir al-Sham (HTS) published a photograph of documents and identification cards allegedly belonging to the pilot of the Russian warplane downed in Syria’s Idlib governorate. 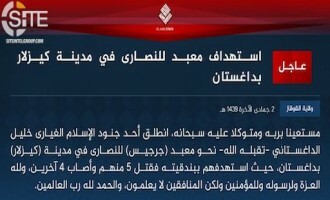 The Islamic State (IS) claimed credit for the bombing at a market in the Russian city of St. Petersburg. 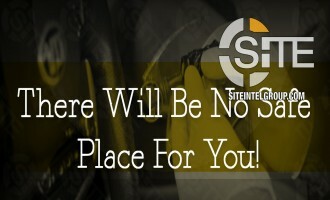 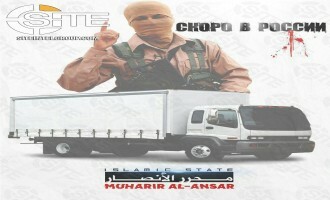 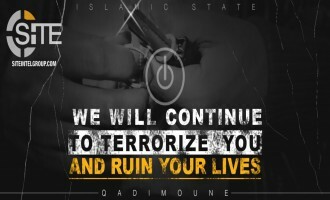 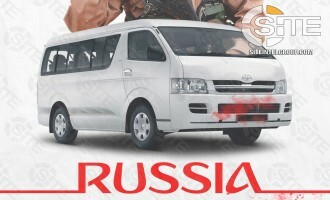 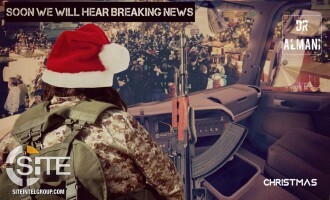 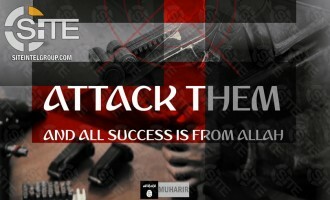 Two Islamic State (IS) supporters continued their poster campaign of attack threats, one warning of vehicular strikes in Christmas markets, and the other targeting Russia. 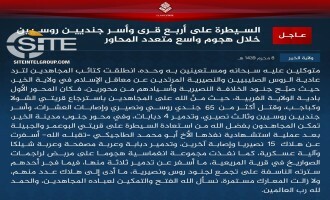 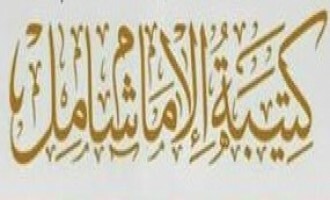 IS Reports Killing of 5 Russians, 58 Syrians in 8-Man Suicide Raid on Deir al-Zour Military Airbase in Naba 106 "Exclusive"
The Islamic State (IS) reported the killing of five Russian "experts" and 58 Syrian soldiers in an eight-man suicide raid on Deir al-Zour military airbase in a Naba 106 "exclusive". 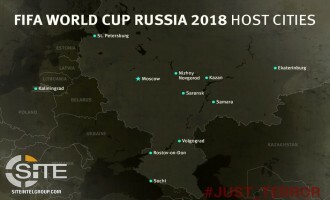 Calling for a "bloodbath," a pro-Islamic State (IS) Telegram channel posted a map of host cities for the 2018 FIFA World Cup in Russia. 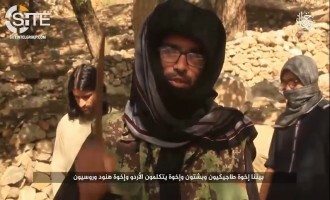 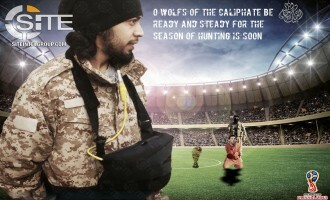 With a focus on the 2018 FIFA World Cup in Russia, Islamic State (IS) supporters advised lone wolves and Western fighters returning home from battlefields abroad about attacks as well as precautions to undertake for their successful execution. 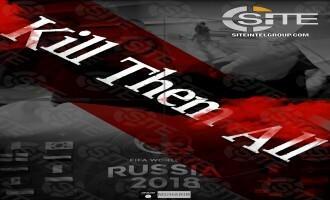 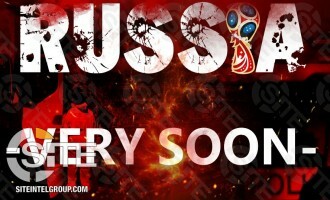 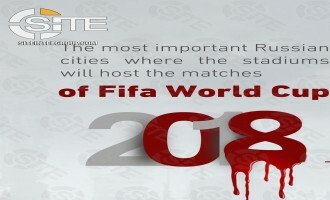 Wafa’ Media Foundation, a pro-Islamic State (IS) group, capitalized on the media coverage of its prior warning to the 2018 FIFA World Cup in Russia, publishing another poster threatening the event. 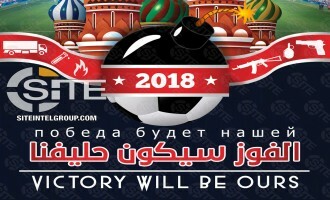 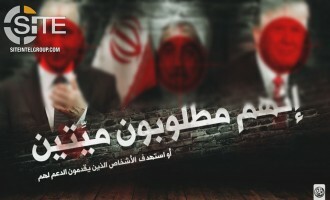 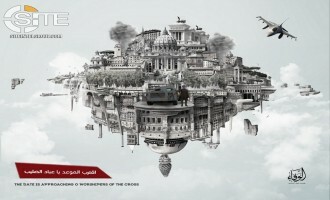 Two pro-Islamic State (IS) media groups, al-Wafa' Media Foundation and al-Wa'd Media Foundation, announced their merger, and published posters threatening the United States and Russia and the 2018 FIFA World Cup in Moscow. 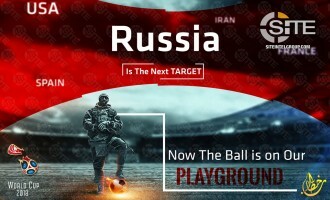 An Islamic State (IS) supporter questioned other jihadists about the permissibility of targeting the 2018 FIFA World Cub that is scheduled to take place in Russia. 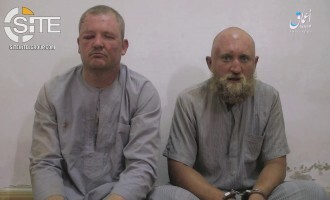 The Islamic State's (IS) 'Amaq News Agency released a video of two Russian soldiers captured by the group in Shola village in Deir al-Zour, Syria. 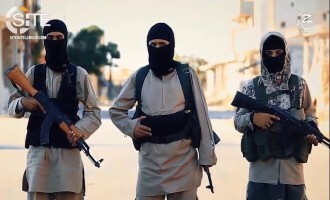 The Islamic State's (IS) Khayr Province, its division for Deir al-Zour, Syria, claimed killing at least 80 Russian and Syrian soldiers as well as capturing two Russians, during an offensive on two axes. 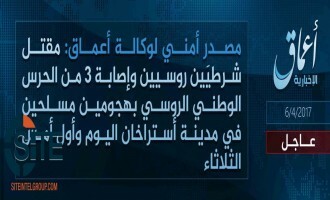 The Islamic State's (IS) 'Amaq News Agency reported that the group captured two Russian soldiers in the west of Syria's Deir al-Zour governorate, and killed a third, and also killed thus far 33 Syrian regime forces. 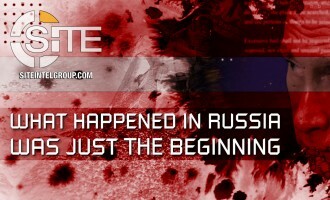 The Islamic State’s (IS) Hama Province in Syria released a video on recent clashes in Uqayribat, showing dead Russian soldiers among the casualties. 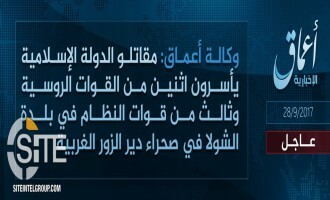 ‘Amaq News Agency reported that seven Russian soldiers were killed during clashes with Islamic State (IS) fighters in Syria’s Hama governorate. 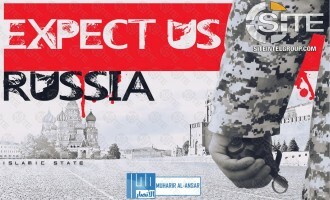 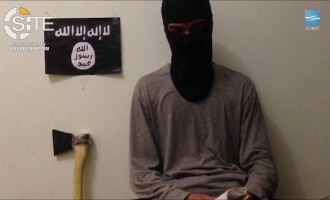 A pro-Islamic State (IS) group warned of attacks to come in Moscow, and Russia in general. 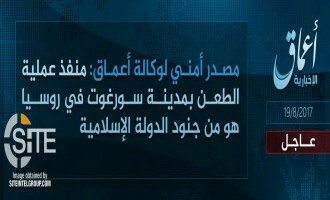 After its ‘Amaq News Agency reported that two Russian soldiers were killed during clashes in Hama, Syria, the Islamic State (IS) issued a formal communique for the attack, stating a number of Syrian forces were killed as well. 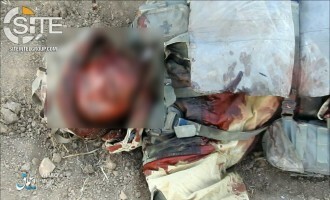 The Islamic State’s (IS) ‘Amaq News Agency reported that two Russian soldiers were killed during clashes in Hama, Syria, and published a photo of the corpse of one. 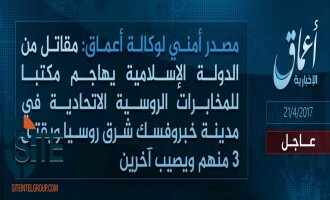 ‘Amaq News Agency of the Islamic State (IS) reported the group’s responsibility for the knife attack in the Russian city of Surgut. 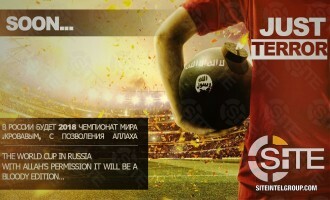 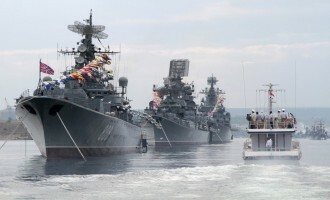 A pro-Islamic State (IS) Telegram channel encouraged attacks in the Russian port city of St. Petersburg on Navy Day. 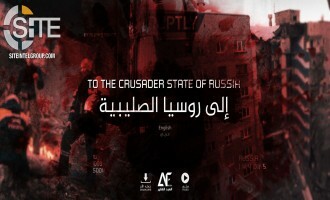 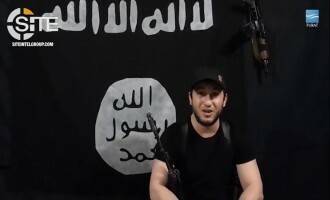 The Islamic State’s (IS) ‘Amaq News Agency reported that “fighters from the Islamic State” attacked a police checkpoint Russia's North Caucasus Republic of Ingushetia. 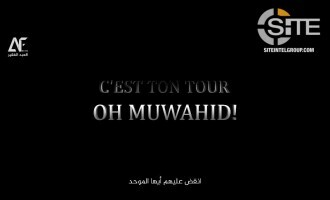 One day after it claimed credit for the shooting of French police officers on the Champs-Élysées in Paris, the Islamic State (IS) took credit for the attack at a Russian FSB office in Khabarovsk. 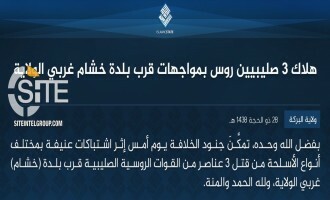 The Islamic State’s (IS) ‘Amaq News Agency reported the group’s responsibility for two attacks in the city of Astrakhan in southern Russia. 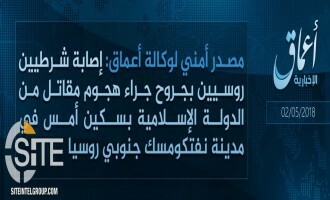 Al-Khayr Province, the Islamic State (IS) division for Deir al-Zour, Syria, published photos of its using a weaponized unmanned aerial vehicle (UAV) to attack a “Russian delegation”. 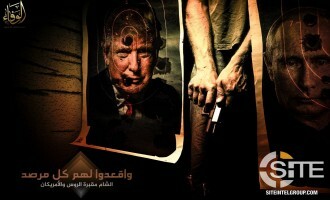 Jihadists across Deep Web and social media spaces have reacted to Donald Trump’s January 20, 2017 inauguration as president of the United States.